Colt gave me a teddy bear, balloon and some chocolates for Valentine's Day. 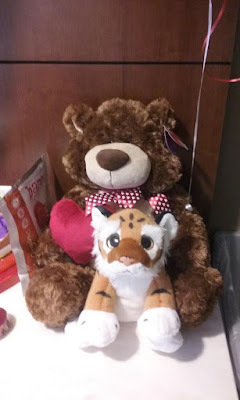 I gave him a tiger to help him stay strong through his chemotherapy. Chemo will be at 2:00AM and 2:00PM again today. Colt is dealing with everything as best as he can.